We provide unparalleled access to Portland's best marijuana dispensaries, analytical laboratories, and grow shops. Our Portland cannabis tours give you a front row seat to the ever growing cannabis industry in a luxurious party bus. Cannabis tours introduce you to the best of the best and help educate by giving valuable insight into the wide world of cannabis in Portland, Oregon and beyond. Our 420 friendly staff and crew will guide you through Portland's growing cannabis industry. 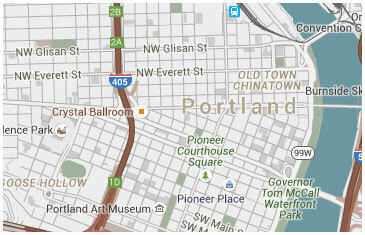 You will experience the best Portland has to offer in the luxury of your very own party bus or private limousine. The Portland Cannabus comes fully equipped with everything you need to have a safe and memorable journey. Onboard you'll enjoy privacy door between you and your chauffeur, premium sound systems, flatscreen TVs, leather seating, crystal glasses, tables, refreshing water on ice, and a private 420 friendly concierge to tend to all of your needs. Upon arrival to each location you will be greeted with open arms full of goody bags, mindblowing samples, educational material, and receive a personal tour for your party. Oregon has long been known for producing some of the world's finest cannabis. In fact, the very first International Cannabis Business Conference (ICBC) was held right here in Portland at the Oregon Convention Center. Entrepreneurs and cannabis business professionals from around the world flocked to Portland, Oregon to help grow cannabis awareness and further the industry. Now you have the unique ability to experience the best cannabis Portland has to offer on an historical journey of enlightenment that's fun and educational. You will visit some of Portland's top rated cannabis dispensaries, analytical laboratories and garden shops; you can even visit an actual working commercial grow, if the season is right. Our one-of-kind Portland cannabis tours are the best way for you to access the wild, wild west of weed in style. We handle all of the planning and driving, so just sit back, relax, and enjoy. The Portland Cannabus operates in accordance with regulations that are in compliance with state laws regarding access to cannabis. You must be at least 21 years old to participate in recreational cannabis use or have a valid medical marijuana patient card to enter our Cannabus and our destinations. Before you waste your time and ours please ask yourself, are you eligible to climb on board the Portland Cannabus? If so, you're only one call away from the best cannabis tour in Portland! Our cannabis tour guests travel through Portland's wide world of weed on board the nicest party buses in town. These awesome party buses have been custom made so that you can enjoy yourself without worrying about driving. Our flagship vehicle, known as the Portland Cannabus, is a crowd favorite because it comfortably holds over 40 people and it comes complete with everything you need to have a blast. Onboard amenities include a privacy door between you and your chauffeur, a premium entertainment system with several HD flatscreen TVs, a dance pole, bathroom, laser lights, tables with drink holders, 110 power outlets and USB charging stations for cell phones. Portland cannabis tours are fun! Cannabis tours on board the Portland Cannabus provide a front row seat to experience today's amazing new developments in cannabis technology and are bursting with exciting educational facts. Oh, and did we mention the badass party bus? Or the free goody bags, samples, and discounts our guests receive from our destinations operators? Yeah, there's that! No one else in Portland can give you this kind of access to dispensaries, analytical laboratories, garden shops, and commercial grow operations while you rock out to your favorite tunes on board the most luxurious party bus in town, the Portland Cannabus! Every Portland cannabis tour includes VIP access to the wild, wild west of weed. We have exclusive access to Portland's best dispensaries, legal commercial grow operations, garden shops, and the most advanced analytical laboratories and testing facilities on the west coast. Plus, if you're lucky (and sign a nondisclosure form), you might even get the chance to go behind the scenes at one of the world's top extractor manufacturing facilities get a glimpse of how it's done. At each location our guests enjoy free goody bags, samples, educational instruction or materials, and exclusive coupons or discounts. Our cannabis tours come with everything you need to have a great time and we even have a 420 friendly concierges to tend to all of your needs while you enjoy the ride. Don't burn your money on a smelly old roach-coach, reward yourself with the best and climb on board the the luxurious Portland Cannabus today. Enjoy a luxurious party bus. Have VIP access at our destinations. Bring your own beverages on-board. Have curbside pickup & drop off. Can select your own route if you'd like. Decide when you are ready to depart. Be driven by a professional chauffeur. Listen to your own music. Be forced to smoke cannabis. Have to find/worry about parking. Wait in a long line to get inside. Do you want more than just a tour? We can help you there too! If you are looking for more than just a cannabis tour, you've come to the right place. From 420 friendly celebrations such as birthdays or parties, to how to classes, educational sessions, cooking classes, and everything between. Just let us know what you're thinking and we'll let you know if it's possible. It's that simple. Call us first, for all your Portland Cannabus needs. Call (503) 741-5057 to book today. My friends and I went on the first tour on the Portland Cannabus for a birthday party and it was amazing. Most of us have been part of the industry for a long time but hanging out on the bus together and going to new places to try new flavors was great. BEST TOUR EVER! I travel a lot for business and no other tour comes close! If you haven't gone on the Portland Cannabus, you don't know what you're missing. Not only did our driver go above and beyond for us without question, the spots we went to were wonderful. They were so accommodating, right on time and took us exactly everywhere we wanted to go without having to worry about directions. The cannabus was beautiful, clean and so much fun!!! Thank you for a very memorable weekend! Connect with us, like and share!